Тема в разделе "СКАМ", создана пользователем All-HYIPs.info, фев 10, 2019. Memo : Shopping Cart Payment. Deposit to BTCPLUS.IO User sqmonitor. Memo : API Payment. Withdraw to sqmonitor from BTCPLUS.IO. BTC PLUS +14.57 Received Payment 14.57 USD from account U17702184. Memo: API Payment. Withdraw to Fairmonitor from BTCPLUS.IO. 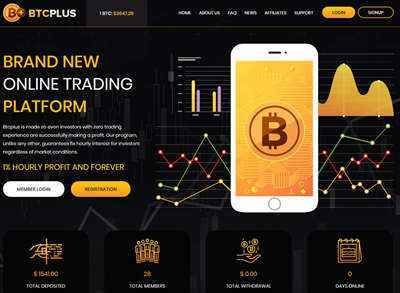 BTC PLUS +25.49 Received Payment 25.49 USD from account U17702184. Memo: API Payment. Withdraw to Fairmonitor from BTCPLUS.IO. BTC PLUS +30.52 Received Payment 30.52 USD from account U17702184. Memo: API Payment. Withdraw to Fairmonitor from BTCPLUS.IO. BTC PLUS +28.12 Received Payment 28.12 USD from account U17702184. Memo: API Payment. Withdraw to Fairmonitor from BTCPLUS.IO.